Take winter riding to a new level with Assos milleJacket_evo7. Made from the highest quality, next generation fabrics it is the ultimate winter riding jacket. As the natural replacement for the iJ.shaqUno jacket, this new milleJacket_evo7 uses Assos' next generation of fabrics to take winter riding to the next level. With this jacket Assos' have created the ultimate winter riding jacket at a great price point and are certain that it will soon become one of your go-to items on those colder days. 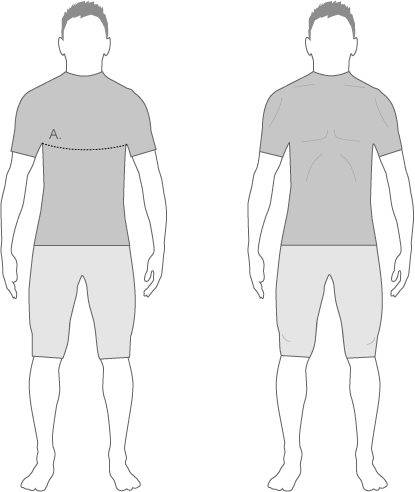 ASSOS’ knowledge, experience and philosophy on tailoring garments to function in the cyclist's position. ASSOS garments contour your body, protecting it without applying pressure when you are on your bicycle. High-tech fabrics are useless if cut badly! AEPD combined with specially developed ASSOS textiles optimises muscle compression, reduces muscle fatigue and increases endurance. Assos mille Long Sleeve Jacket evo7 is rated 3.5 out of 5 by 6. Rated 5 out of 5 by andyneon from Everything in one jacket I’ve had cheap waterproof jackets but then I boil In a bag and end up just as wet on the inside, I’ve had warm jackets that wasn’t waterproof. Well this jacket does both! Breathable and well insulated for those chilly 6c and below winter rides when you think, tah to cold or too wet to cycle and enjoy. Only problem is now, I don’t have an excuse. Rated 4 out of 5 by GaryField from A Jacket That Won't See You Getting Cold! My very first impression of this jacket before taking it out of the Wiggle shipping package, was that it's a heavy garment. This made me nervous because I had read some reviews prior to making my purchase where people complained about excessive sweating in the jacket. There's no doubt that this is a lot of jacket for your money (assuming you purchased in the January Sale), especially considering that it incorporates the usual Assos quality. So far I've only worn the jacket for one 50km spin - conditions were dry, with very little wind and temps were around 5 degrees celsius - I was very happy with how the jacket performed. Knowing that people complained about overheating I only wore a light, sleeveless base layer and I feel it was more than enough to accompany this jacket. Anything more would have lead to excessive sweating, which is why I believe to be true some of the previous comments about this jacket not being suitable for commuting to work. My usual winter cycling attire consists of a long sleeve merino base layer and a long sleeve, fleece lined jersey. My body temperature reached similar levels wearing either that combination or this jacket with a light sleeveless base layer. My temperature regulated well when cycling on the flat or when descending, but of course when climbing sweating definitely. I would not recommend this jacket if cycling in locations where extended climbing efforts are required as it's definitely too heavy, but for any routes with a max of 2-3km climbing efforts its fine......even better if little or no climbing required! It's a stylish looking jacket with plenty of easily accessible storage in the rear pockets. I can't testify as to how it would hold up in the wet, but I'd imagine it will cope well during constant light rain or for a short heavy shower. To summarize, I initially thought I'd be sending it back since it felt too heavy for winter cycling in Ireland, but after testing it out I'm happy to add it to my winter wardrobe, once the correct garment is worn underneath. Size wise, I'm 185cm and 100kgs (so a little chunky on top) but the XXL fits very well. Rated 5 out of 5 by MattPage from Excellent Winter jacket Great jacket for winter weather and remains warm even in the very coldest weather. Performs best in single figure temperatures and remains breathable. Not waterproof, so not best for rainy days but cold/dry it is fantastic.